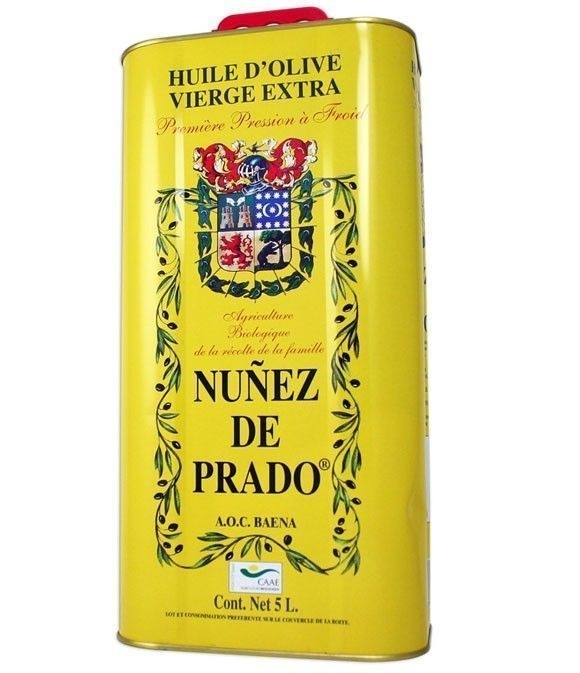 Nuñez de Prado - Tin 5 l.
> Marca>Otras Marcas>Córdoba>Nuñez de Prado>Nuñez de Prado - Tin 5 l.
Olive oil of colour gold and aroma reminiscent of fruit and flower. 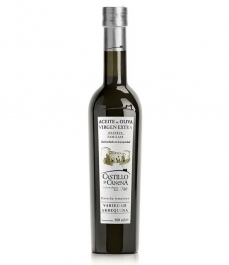 Extra virgin olive oil from Baena (Córdoba) is a blend of Picudo, picual and hojiblanca varieties. 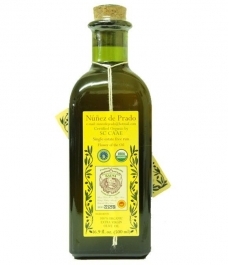 Gold colour olive oil with fruity and flowery aroma. Its flavour is bitter and spicy with a soft fruity intensity. 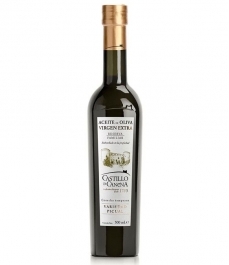 The company currently has more than 700 hectares of olive groves on four farms. 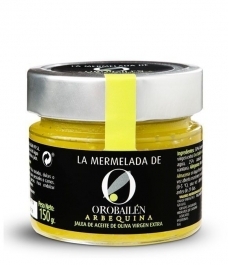 In these lands organic cultivation is practiced since 1985, without the use of fertilizers or artificial pesticides, following a careful process of traditional and artisanal elaboration. 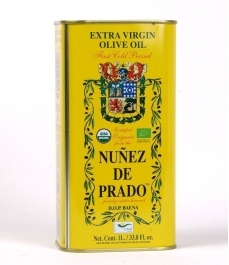 The oil obtained from fruits selected under a method devised by the Marquis of Acapulco and Villanueva at the beginning of the 20th century and that consists of extracting the "oil flower", a small amount of olive juice through a simple filter. 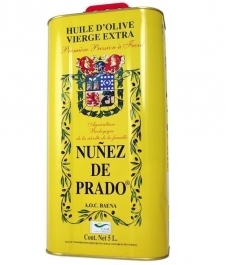 The result is an oil with a fruity and floral aroma with a soft bitter and spicy aftertaste of exquisite finesse.